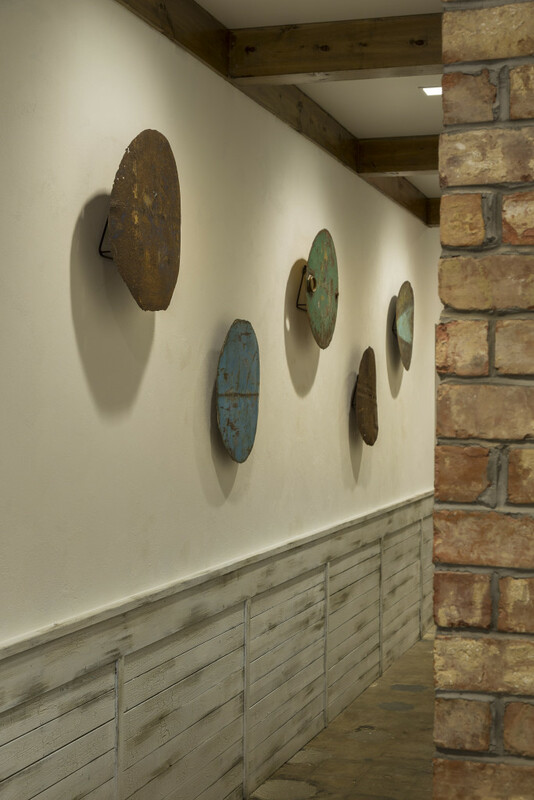 The fast-causal restaurant, with interiors designed by GTM Architects, harnesses natural daylight with rich and rustic textures, while boasting a beach-like feel including custom wood-painted, whitewashed benches and blue and sea green accents—a nod to the restaurant’s light turquoise branding. 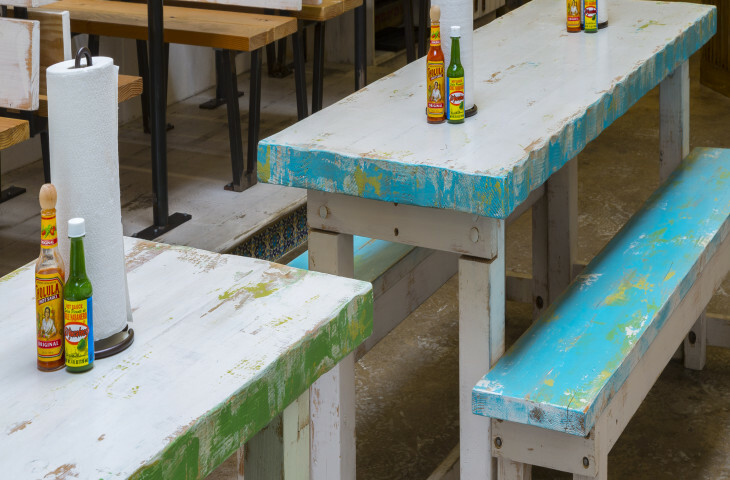 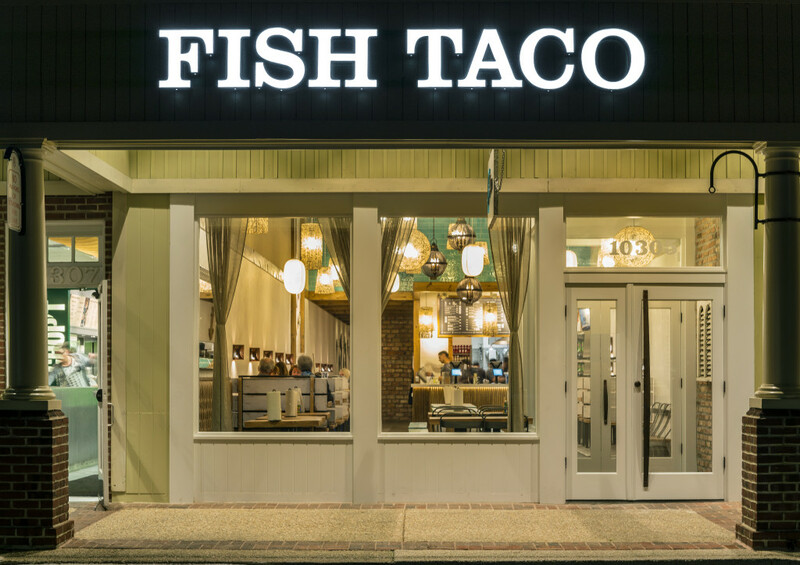 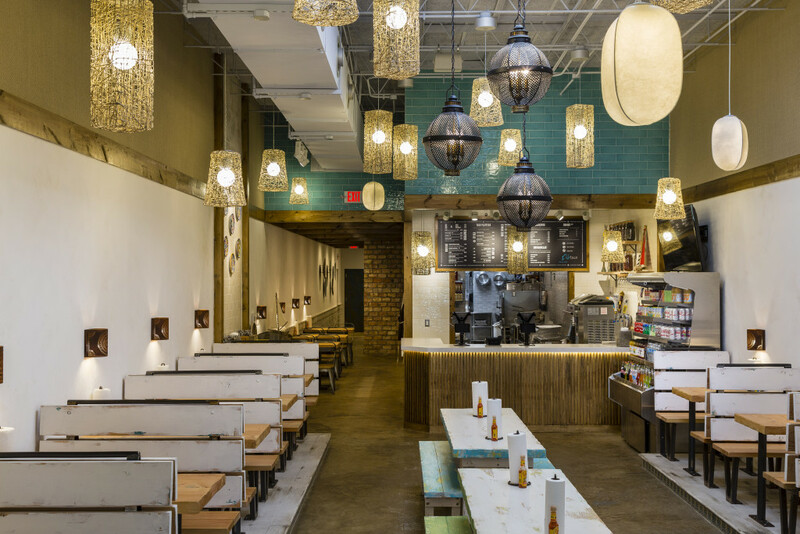 From the project’s start, the design team planned to integrate elements of an authentic taqueria, providing a fun, lively and light-filled interior. 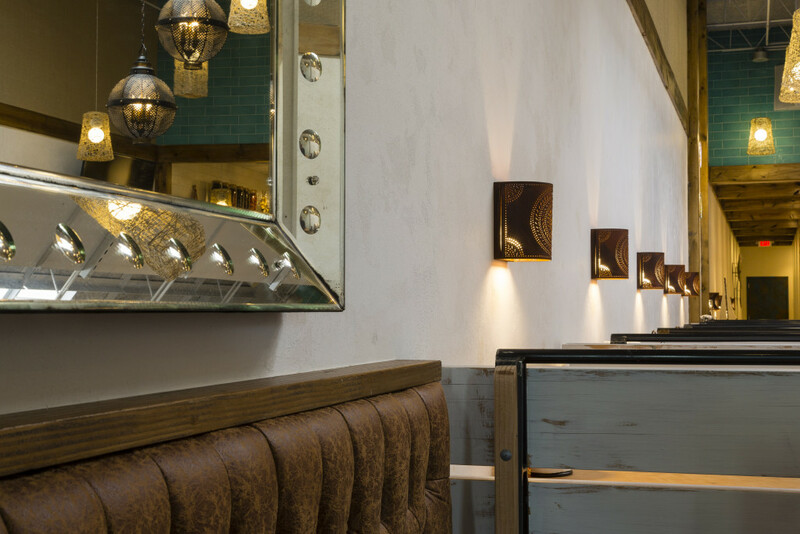 Diners are immediately greeted with a bold aquamarine-tiled soffit and floors dappled with hand-stenciled motifs. 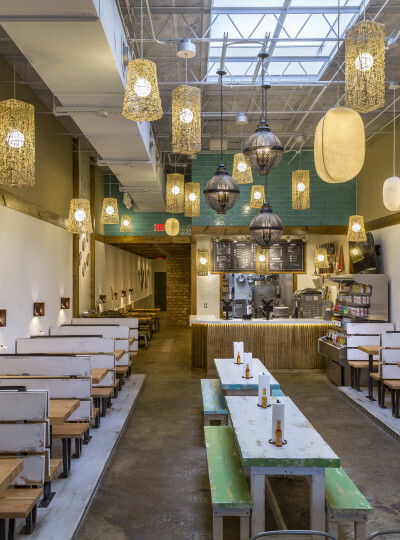 Festival-inspired pendant lights complement eclectic seating arrangements comprised of tufted banquette and intimate booths on platforms clad with Mexican tiles. 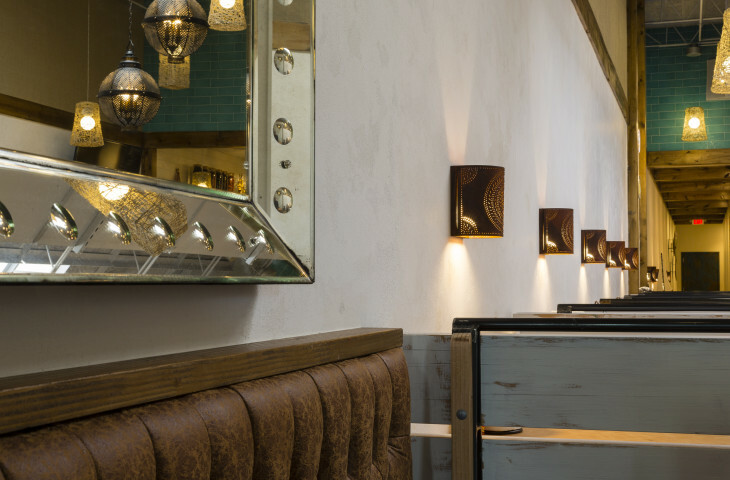 Sisal wallcovering and white plastered walls with exposed beams add a richness and depth to the space, solving design challenges associated with a narrow floor plan and high exposed ceilings. 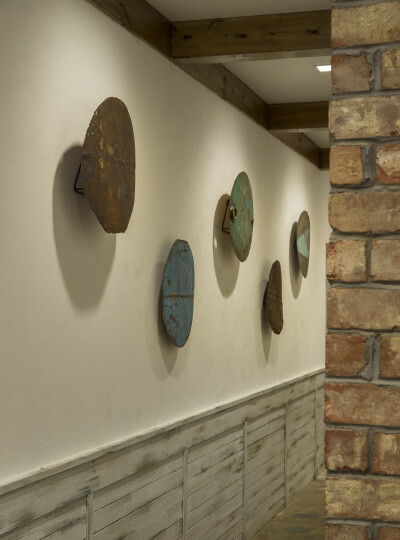 Artwork from the owner’s collection adorns the walls.